Update your look by wearing this super cute long-sleeved top! It has intricately designed bow tie at the back and features a round neckline. 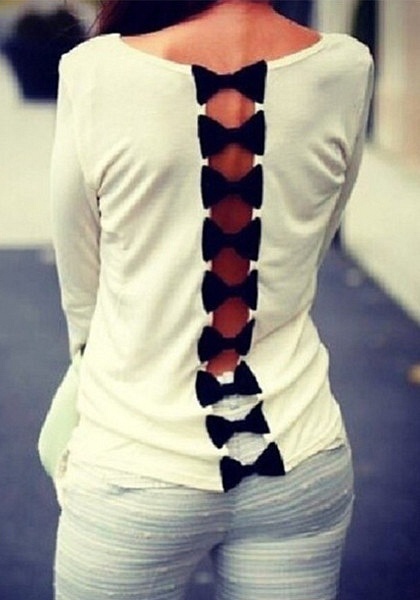 This bow back top is made of cotton and is stretchable. So even if it has long sleeves, it’s still very comfy to wear. This can be tossed with your favorite skinny jeans or cutoffs!